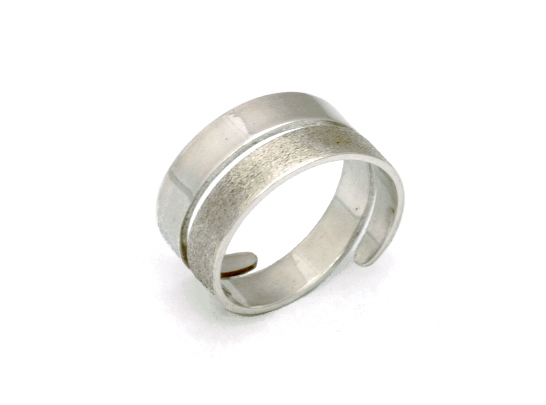 Combines textured and polished finishes. Please read the guide to ring-sizing and then select the required size from the options on the right. If unsure select Don't Know and Daniela will send you a ring sizer to establish the correct size after the order has been placed.